FEA is a computational tool for engineering analysis. In the 1940’s, during World War II, most of the aircraft and other defence equipment that were being manufactured, were hardly being tested prior to entering theatre, meaning that most of these machines were being tested in actual missions. At the time, there were no adequate testing techniques, but with current trends in manufacturing technology, new and more advanced techniques are being developed daily. Such developments have seen the birth of techniques like Failure Mode Effect Analysis (FMEA) and Finite Element Analysis (FEA). These two techniques have proven to be extremely useful in the aerospace & defence industry. The impact that both FMEA and FEA have had on this industry, has been dramatic and significant. Not only have many fatalities been prevented, but continuous development has been promoted in far quicker timescales. In the manufacturing processes of aerospace & defence systems, a vast amount of analysis is required to enable engineers to come up with the most effective and precise systems possible. Since most of the aerospace & defence systems consist of assemblies of several thousand components, the best way of analysing the systems, is by analysing the modes of failure in each of the components and their subsystems, as well as the causes of the failures and the effects of the failures to the entire system. This is what is referred to as FMEA. The results of any analysis are recorded in to a FMEA worksheet where they are used to help create the most reliable designs. The incorporation of FMEA in the manufacturing process, also results in the production of safer systems. The materials and resources used in the aerospace & defence industries are more expensive than most industries, so wastage is always a focal point and engineers are compelled to used computer software to design and carry out initial tests rather than making tangible prototypes. Due to the complexity of the materials used and the intricate designs, lack of proper analysis of the aerospace & defence system designs and materials could result in the entire system failing. This would mean loss of lives as well as a lot of discredit to the manufacturers. With the computer software, the overall cost and speed of prototyping is significantly reduced. The most widely used computer software that is utilised for design analysis is FEA. By using FEA software, engineers can carry out several physical analysis procedures, like stress analysis and heat transfer analysis as well as carrying out computer simulations to examine how the systems would behave under certain environmental and operational conditions. This enables engineers to carry out the desired changes to their designs, without having to procure materials to make multiple different prototypes, until they come up with designs that meet their customers’ specifications. 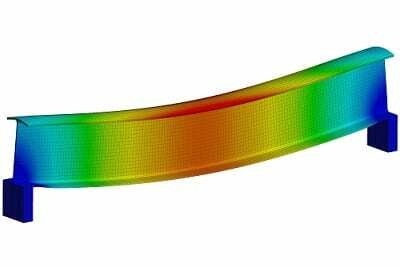 In summary, the impact that both FMEA and FEA have had on the aerospace and defence industries, has been dramatic and significant. Not only have many fatalities been prevented, but continuous development has been promoted in far quicker timescales. Thanks for the feedback. We’re glad you found it of use. We’re glad that you found what you were looking for.